The most effective numbers are the ones where they dwell on the first half of the album’s titular equation. In the meta-as-hell “The Singer Addresses His Audience,” vocalist Colin Meloy laments a wedding backed by a song made for “the benefit of Axe Shampoo.” The somber “Carolina Low” finds Meloy’s pen as poisonous as ever, and stands with their best material. In the end, they do navigate to the beautiful part of the world though, especially with the gorgeous closer “A Beginning Song.” “Bright light, it’s all around me,” sighs Meloy, and like the bruised Rust Cohle at the end of True Detective, you believe him. 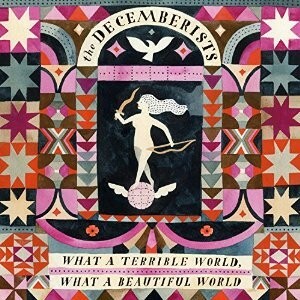 Even an average Decemberists album gives you a lot to admire, it just feels that they’ve given us more before.